The latest edition of Michael Hartl’s popular Rails tutorial book has been released, now covering Rails 4 and using a 100% default stack. And best of all, it’s still possible to read the whole thing online too. A look at performing some shenanigans with Ruby’s unary - + ~ and similar operators and redefining the methods behind them. A dive through the C internals of Ruby with a focus on how Ruby represents the data for its objects in C.
Codeship is Continuous Delivery for free. 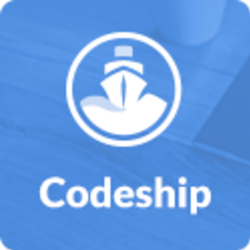 Codeship offers 100 builds/month and 5 private projects free. All startups and small teams now can get started easily with the simplest Continuous Delivery Service out there. Try it now. Focusing on Matt Aimonetti, Erik Michaels-Ober, Tom Stuart, Julian Cheal, and Leon Gersing. A look at fixing an issue with a Memcached setup with a monkey patch, but then also using Watchdog to ensure that monkey patch wouldn’t cause problems later on. The long standing project continues to mature by introducing support for the ART runtime and Android L.
A Ruby-based system to create and send e-mail newsletters via Amazon’s SES. Includes subscription management, delivery, bounce and complaint notification, templates, and statistics.